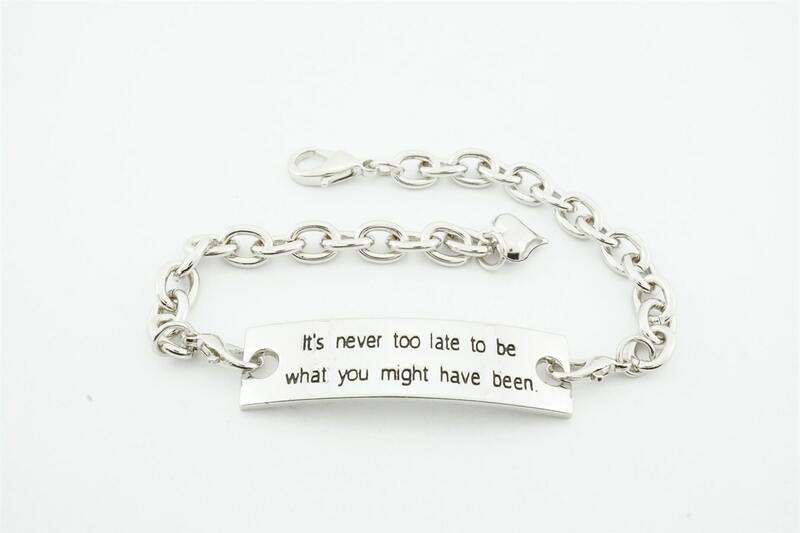 The perfect gift for the holidays, these inspirational quote bracelets feature unique and uplifting sentiments!! 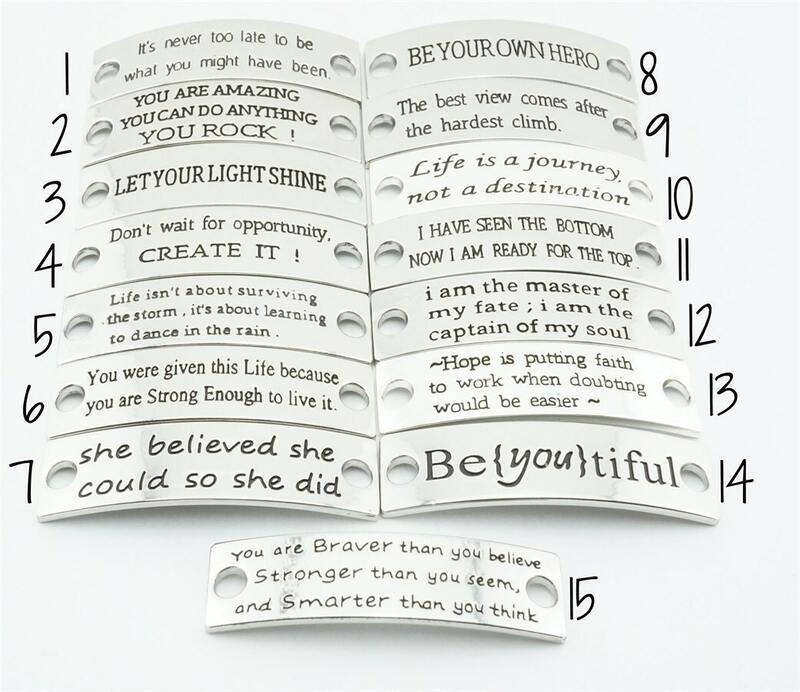 Choose from 15 styles! 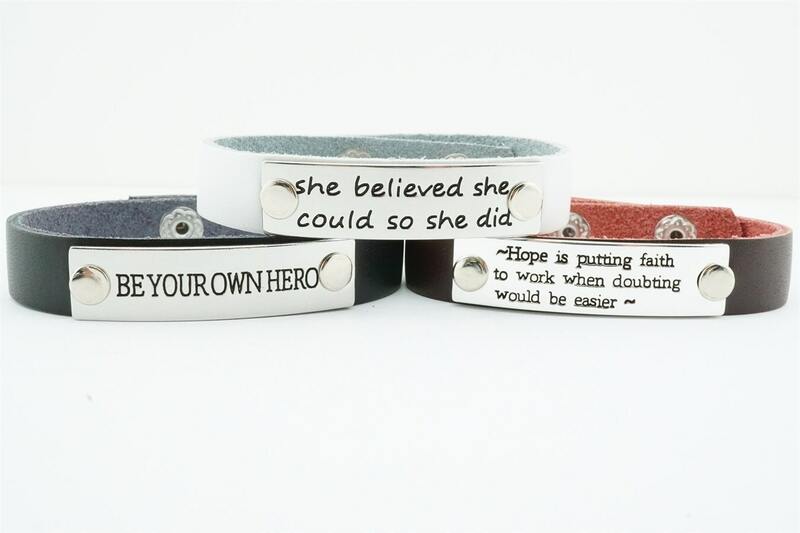 Each bracelet has 2 snaps for adjustable sizes. They measure 1/2" x 9" in length, with snaps at 7" and 8". The chain measure 7.5 inches and is fully adjustable.